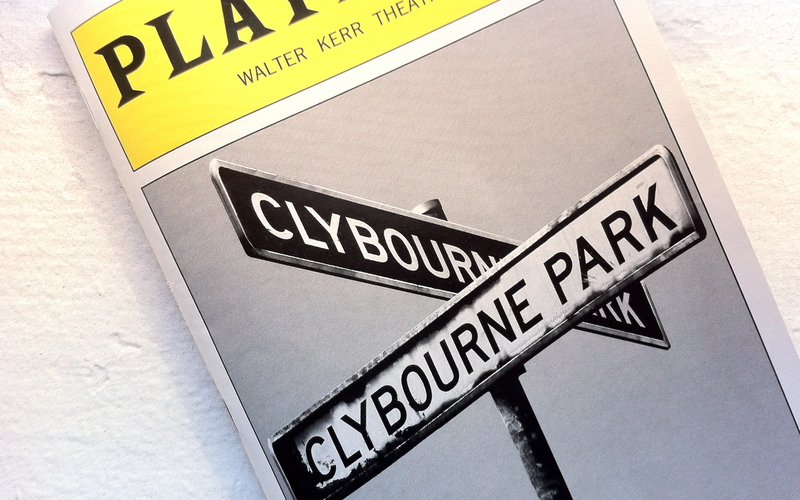 Two years after it’s premiere at Playwrights Horizons, Bruce Norris’ acid-washed Pulitzer Prize winning diptych about real estate and race relations, Clybourne Park, has made it to Broadway. It was touch and go there for a while after lead producer Scott Rudin beat a hasty retreat when a dispute with the playwright over an unrelated acting gig turned into an exercise in vindictiveness. Jujamcyn president Jordan Roth managed to save the day (and the limited run of the play) and the critics for the most part have lined up like good little soldiers to heap hosannas on the one that almost got away. Pam McKinnon directs the original off-Broadway company with a sure hand and everybody is uniformly top-notch, equally milking every outre moment for did-they-really-just-say-that laughs mixed with I-can’t-believe-they-said-that gasps. That said, the only real weakness lies in Norris’s too-clever script, which begins (and ends) with an interesting conceit: act one takes place in 1959, as a white community frets about the African-American family about to move in next door; act two flashes forward fifty years and the same house represents very different demographics, with gentrification now knocking on the neighborhood’s door. Climbing through the looking-glass of Lorraine Hansberry’s A Raisin in the Sun, the characters navigate the play’s shifts from political correctness to racial resentment, revealing how far our ideas of race and gentrification have changed. Or have they? Duh. Despite the gentleman in the Oval Office – or maybe because of him – we know the answer to that question all too clearly as of late. So sitting though Norris’s play, I’m sorry to say, is a bit like being forced to watch a special (funnier) two-hour episode of Thirtysomething. He’s preaching to the converted, yes. But does he need to be so painfully obvious about it?